WASHINGTON — Republican governor Chris Christie, after a landslide gubernatorial victory in the blue state of New Jersey, has been the center of rumors regarding potential GOP presidential candidates in 2016. Reuters reported that Christie, who has not been considered conservative enough by the conservative Republican base, did not give a straight answer about his presidential aspirations when interviewed on television. He swept the election by a 60-38% margin over Democratic challenger, state senator Barbara Buono. Many Republicans remain upset over his embrace of President Barack Obama during post-Hurricane Sandy preparations, as Mitt Romney had a good shot at unseating Obama to become president. 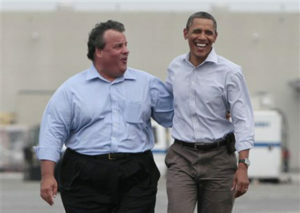 They, like Romney strategists, believed that Christie’s promotion of Obama helped Obama beat Romney in the 2012 election.